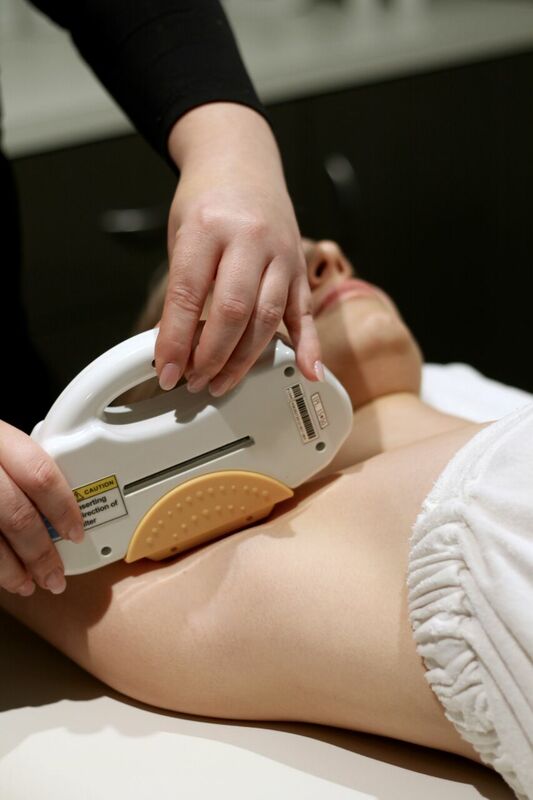 SHR/IPL offers a safe, long-term solution to unwanted, excess hair, for women and men. With SHR technology the hair removal methodology that involves the hair pigment uses only 50 per cent of the energy for permanent hair removal. The remaining 50 per cent is absorbed into the stem cells responsible for hair production through the skin during treatment with SHR technology. Using the SHR technology the skin is heated gently through the melanin and the stem cells with low energy (48 degrees) but with high frequency. In that way, even lighter and finer hair can be treated and reduced in a better way. With IPL technology, the skin is heated up to 70 degrees. The bottom-line is: Every region of your body is differently sensitive to pain, depending on the degree of hairiness and one’s own sensitivity. We offer maintenance programs once you have completed your 8-12 designed package and suggest maintenance 2x per year. Please note complimentary consultations can only be accepted Monday - Friday 9am -4pm. Late nights and Saturdays include a $40 charge and if you go ahead with the treatment it will be taken from treatment price.